Assistant City Editor Robert Sanchez wrote for the Daily Herald that drug abuse and mental health problems rank as the two most important health concerns in DuPage County, according to a recent survey of residents. The survey was conducted by Impact DuPage, a group of community organizations committed to creating a common understanding of local needs, gaps, and priorities that will advance the well-being of county residents. The poll of 1,577 people was conducted between February and April as part of Impact DuPage’s 2018 community assessment. According to the survey results released Friday, the three most important health concerns in DuPage are drug abuse (44 percent), mental health (43 percent), and too much screen time/technology use (21 percent). Survey respondents also listed the top three risky behaviors in DuPage to be drug abuse (58 percent), alcohol abuse (34 percent) and too much screen time/technology use (30 percent). The fact that residents are concerned about drug abuse and mental health problems doesn’t surprise Ayala. DuPage in recent years has been trying to combat the opioid crisis. In May, the county announced it is contributing $100,000 to kick-start two new projects. Half the money will be used to develop a “substance use treatment navigation” system to help individuals seeking treatment for opioid use disorder. 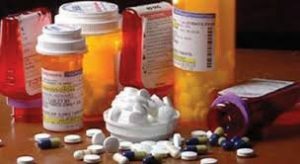 The other half will be used to start a specialty drug court for first-time offenders. When asked where the community should focus its attention to make things better in DuPage, survey respondents most supported access to mental health treatment (33 percent) and access to alcohol and drug abuse treatment (25 percent). Ayala said it’s “heartening” to see those results because it shows the community as a whole recognizes that treatment facilities are needed. “It’s up to government leaders and providers to address the very complex issues of where to locate these (facilities),” she said. Ayala said one surprise in the survey results was that 22 percent of the respondents indicated a need for affordable housing in DuPage. The survey was one of four methods used to gather data for the 2018 community assessment, including a meeting of dozens of community stakeholders. Then in June and July, the Impact DuPage steering committee met to identify strategic issues to address over the next three years that will advance the well-being of the community. • Health status improvement: How do we build a person-centered model of health care that is efficient and effective, creates meaningful access to care for all and demonstrably improves health status? • Affordable housing: How do we develop affordable housing that meets the demographic profile of the county? • Behavioral health: How do we strengthen prevention and treatment of behavioral health issues for residents of DuPage County? Now the steering committee will work with local coalitions to develop action plans for 2019 through 2021, officials said.